"The Best Hunters Go to the Backwoods"
If you’re like us at Backwoods Retriever Training, you love to watch a well-trained dog at work--especially if it’s your dog! We specialize in training duck dogs. Whether that be a basic gun dog or your advanced hunting retriever champion, we can train your dog to be the best hunting retriever it can be. 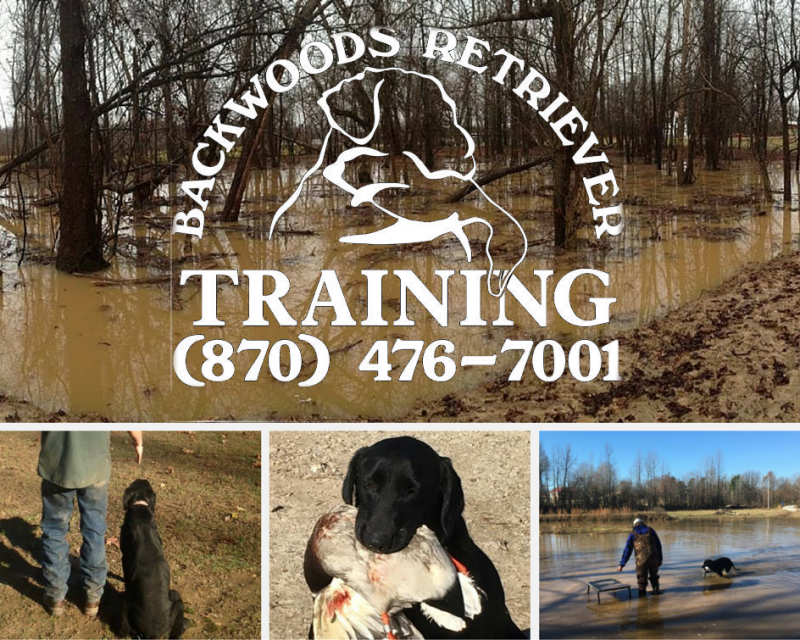 Created by Garrett Meier, Backwoods Retriever Training will turn your dog into a polished duck dog and hunting participant through our extensive training program. We also offer obedience classes for larger breed dogs. Through his experience, Garrett knows that not all dogs are created equal. Therefore, all dogs cannot be trained exactly the same way. It is for this reason that he has developed the successful techniques that allow him to maximize each dog's individual potential. So if you’re looking for the training necessary to transform your Labrador Retriever into a premier hunting dog, look no further than the professional services and top quality dogs offered at Backwoods Retriever Training!